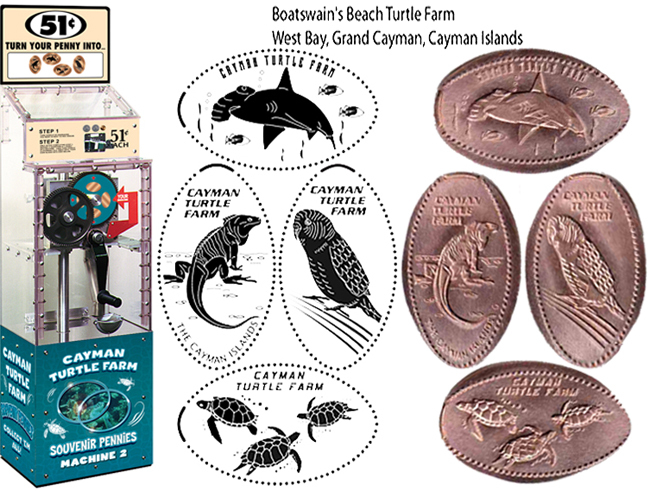 Boatswain s Beach Turtle Farm has relocated across the street and changed its name to the Cayman Turtle Centre. The Cayman Turtle Centre is here to provide an up-close look at the Green Sea Turtle and offer an insider view on their way of life. You have the option of taking a dry tour of the farm and tanks; or a wet tour, which includes snorkeling in an artificial lagoon. More than 11,000 Green Sea Turtles in every stage of development call Cayman Turtle Centre home, as well as a number of fish, sharks and birds. Hours of operation: 7 days a week 8:00 am to 5:00 pm. Plenty of free on-site parking across the street. 2. (V) Iguana with "The Cayman Islands . 4. (H) Three swimming turtles. thegillion added Cayman Turtle Centre to system.